The Malton Food Lovers’ Festival – Everythings Need to Know Before You Go! The UK has many distinctive regional festivals bursting with local charm, and the Malton Food Lovers’ Festival is a perfect example. It’s a fun-filled and joyous celebration of all the delicious produce from the north of England – and here’s everything you need to know before you go. The Malton Food Lovers’ Festival is a two-day event that showcases the produce and cooking from the north of England and further afield. It brings together farmers, cooks and foodies to share their passion for great traditional-style cooking. Of course, the main focus is the food – and there’s always plenty to see and sample – but the organizers also put on a whole range of demonstrations and other entertainment as well as lots of activities for children, making it a perfect day out for the whole family. 2019 will be the festival’s 11th year, and it promises to continue the traditions that have been built up over the previous 10 editions. Every year, the festival is bigger and better than ever before, and 2019 will be no different. 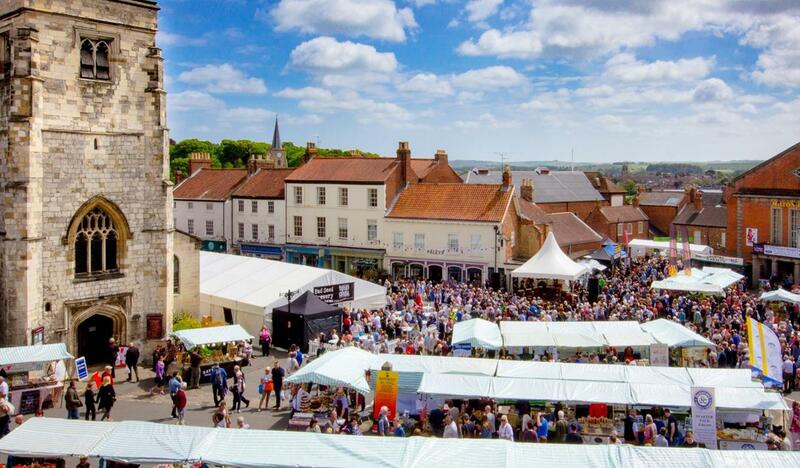 The festival was originally created as part of the town’s “We Love Malton” campaign that aimed to raise the profile of the town and transform it into a popular destination for food-lovers. The initiative was successful, and Malton is now considered to be the food capital of Yorkshire. In 2018, the festival welcomed famous guests like Michelin-starred chef Tommy Banks, local chef Michael O’Hare and Michelin-starred chef Andrew Pern among others. There was a wide range of local food on offer as well as craft beer and cider to sample. 2018 built on the success of the preceding year, and 2019 is set to surpass the 2018 edition once again. Malton is a market town in the North Riding of Yorkshire in northeast England. It is located north of the River Derwent, not far from the traditional border between Yorkshire’s North and East Ridings. Malton lies approximately 183 miles north of London, and driving there from the capital would take about five or six hours on average. The Malton Food Lovers’ Festival takes place over two days in late spring. The 2019 edition is set to take place on Saturday 25th and Sunday 26th May. If you plan to visit the Malton Food Lovers Festival, you are probably wondering what to expect. While the 2019 edition has not been fully organized and the names of celebrity guests have not yet been confirmed, you can expect the festival to be similar to previous years. Since the main purpose of the festival is a celebration of food, you can expect an abundance of delicious local products to sample and buy. Over 180 market stalls will offer local culinary specialties along with plenty of craft beer and cider to wash them all down. Although all of the names for 2019 have not been confirmed, Michelin-starred Tommy Banks is already booked to make another appearance – along with many other names that are yet to be confirmed. You can expect free cooking demonstrations where you will be able to learn many of the inside tricks of the cooking trade explained to you by some of the experts in the field. As in previous years, there will also be guest speakers, who will also give you some insights into the world of food to help you improve your techniques in the kitchen. You may also like: Gorgonzola Dolce: What You need to Know about this Blue Cheese? As well as all the food and drink, the festival also includes many live music acts. The Main Stage will be set up in the market place, and you will be able to enjoy the performances there free of charge. As well as the music arranged on the main stage, there will also be a brass band, along with a number of talented buskers. There will also be book signings – a great chance for you to pick up the autographs of local celebrity chefs. 2019 will also see an indoor market for the first time – there, you will be able to browse, sample and buy an even wider range of local products. For those who have had enough of all the food and drink – or for those looking for a bit more excitement – there will also be a traditional funfair. The little Cooks tent is the ideal place for youngsters to join in the fun and develop an interest in food and cooking. For the youngest of children, there will be face painting – as well as magic shows for young and old alike. At Malton Food Lovers’ Festival, there really is something to appeal to all ages. If you are driving to Malton, parking is available at several sites for £5 per day, which includes a free shuttle service into town. Malton also lies on the TransPennine Express trainline from Scarborough, York, Leeds, Dewsbury, Huddersfield, Manchester and Liverpool. There are a handful of cozy, traditional hotels close to the center of Malton as well as several others a little further out. If you plan to stay in Malton during the festival, you are advised to book early to avoid disappointment. Although you have to pay for any food and drink you wish to try or buy, entrance to the festival is completely free of charge. 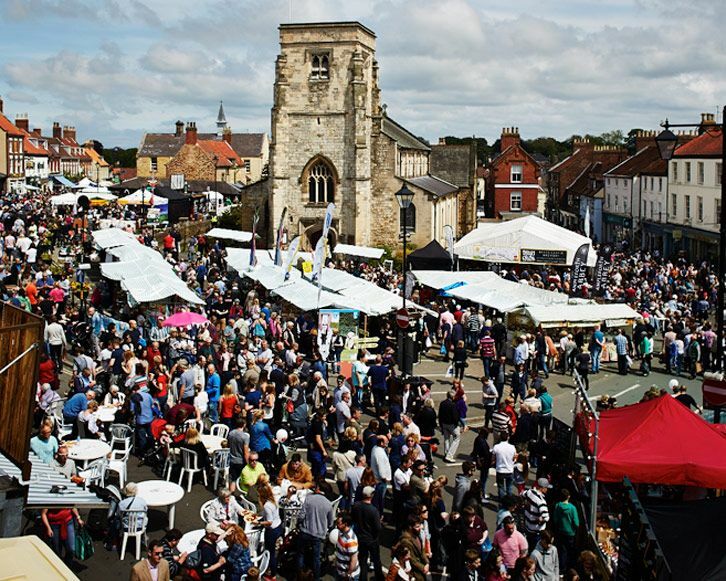 If you want to experience a traditional local English festival – and of course, to sample the whole range of local foods on offer – a trip to the Malton Food Lovers’ Festival should certainly be right at the top of your list of events you plan to attend.